RBI (The Reserve The Bank of India) has issued Rs 500 note on the second week of November 2016. Government of India have discontinued old Rs 500 note and Rs 1000 note on the midnight of 8th November 2016 to wipe off fake currency and black money from India by launching new Rs 500 note. 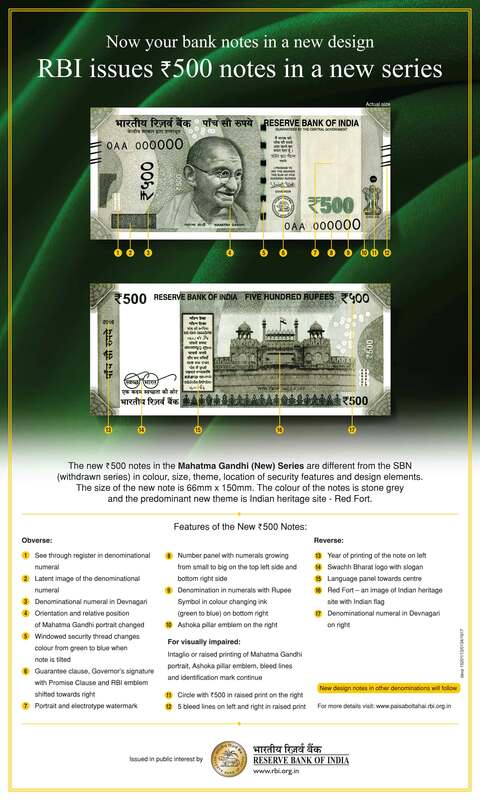 This Rs 500 note infographic below explains the features in more detail for the people of India to understand in a better manner.